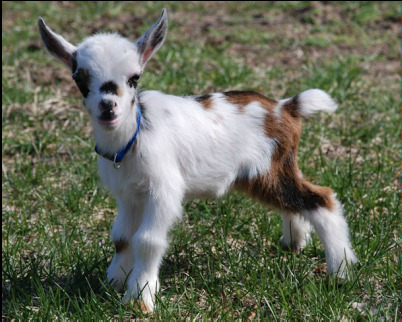 Our goal is to breed structurally sound and conformationally correct Nigerian Dwarf dairy goats that are easy to milk and know how to fill the milk pail! To that end, we take great care in selecting our breeding pairs. Our focus is always on producing kids that will be shining examples of their breed. You will notice that we do not offer all buck kids for sale as intact bucks. We believe that the proof of a good buck is in the quality of his daughters and therefore we will rarely offer buck kids for sale until the sire has proven himself by consistently producing high-quality does with strong, well-attached, productive udders. Bucklings that are not destined to be future herd sires will be sold as wethers. We reserve the right to retain any kids for our own herd. Prices may also be adjusted after the doe has kidded and we have an opportunity to assess her udder. Reservations are accepted at any time. Before sending a reservation or enquiry, please READ OUR SALES PAGE. To reserve a kid, please send an email to kyeema.ridge@gmail.com. Full details and photos of 2017 kids, including those available to purchase, can be seen on the 2017 Kids page. Our 2017 Kidding Schedule is currently under construction.